I recently had a Mother of the Bride ask me how to tell a guest (or guests) that they cannot bring a plus one to a wedding. This is a touchy subject for so many couples planning their wedding. Maybe it's just not in the budget to have all these extra people. Maybe their venue is limited on space and they simply cannot invite that many people. Maybe the guest isn't in a relationship, so the couple just didn't think to include a plus one. Whatever the reason might be, I'm going to address some etiquette guidelines of inviting a plus one. 1. Invite a plus one if the guest is in a long-term relationship. The rule of thumb is that if the guest is in a committed, long-term relationship, invite them both. There's really no way around this one. If your guest is engaged, living with someone, or has been with the same person for over a year, they both get invited. You'd want the same if the tables were turned. 2. Invite a plus one for each member of your bridal party. Even if someone in your bridal party isn't in a committed relationship, he or she should still be extended the courtesy of a plus one. 3. Invite anyone that has been invited to the bridal shower. Another standard rule is that if you invite someone to the bridal shower, they get an invite to the wedding. Keep this in mind when you are inviting the girl your brother just met at the bar to your shower just to get a few extra gifts. Will he want her at the wedding? Will YOU want her at the wedding? If not, better keep her off the guest list for both. 4. Address the envelope accordingly. When sending out the wedding invitations, the envelope should be the first indicator as to who is invited. Mr. John Smith & Guest (or a specific name instead of "Guest" = clearly indicates that 2 people are invited. 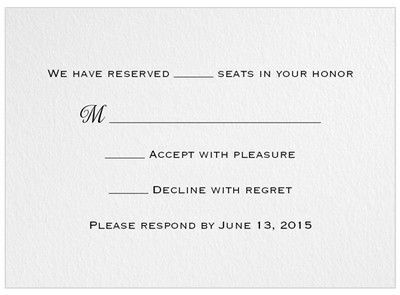 Also, on the RSVP card you can include a line that says something along the lines of "1 (or 2) seats have been reserved in your honor". 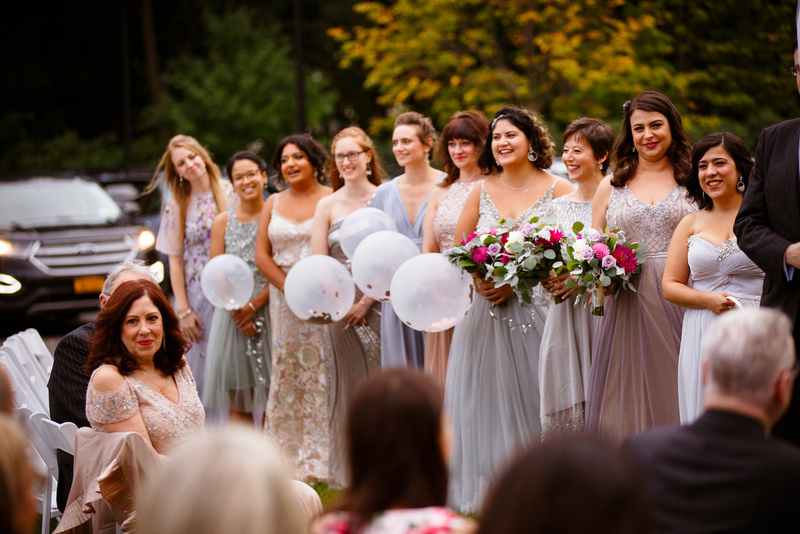 If your guest is still insisting on inviting a plus one after all that, try saying something like this: "I'm so excited that you are able to make it to my wedding! I can't wait to see you! Unfortunately, we have a limited number of seats at the venue, and we are pretty maxed out. I don't think there will be enough space for you to bring a guest. But don't worry, I'll be sure to seat you with people that you know! ".